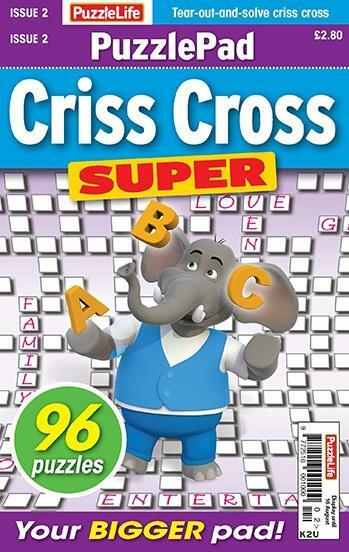 PuzzlePad Criss Cross Super It's an extended concept in puzzle pad range – a larger format of the chunky pad of puzzles that you can tear out and solve at your leisure. PuzzleLife PuzzlePad Criss Cross' 96 puzzles are crammed with a variety of criss crosses to keep you on your toes, making it just the thing for the puzzle fan who's on the move – or, of course, who fancies sitting down to solve a pad of puzzles! Be the first person to tell us what you think about PuzzleLife PuzzlePad Criss Cross Super and you'll save £2.50 on your next purchase!